A cluster of genetic risk factors appears to influence how heavily and persistently people smoke cigarettes, but has no effect on starting smoking, according to a new study by an international group of researchers. They developed a genetic risk score (GRS) for smoking based on genes already known to affect nicotine response, metabolism, and dependence. They compared the GRS with smoking behavior in a group of 1,004 New Zealanders born in 1972 and 1973 and studied periodically from ages 11 to 38. Once they started smoking, people at higher genetic risk were much more likely to progress rapidly to consuming at least 20 cigarettes a day. They also smoked more over their lifetimes, were more likely to develop nicotine dependence, had problems quitting, and used smoking more often as a means to cope with stress, reported Daniel Belsky, Ph.D., a postdoctoral fellow at Duke University’s Center for the Study of Aging and Human Development, and colleagues today in JAMA Psychiatry. 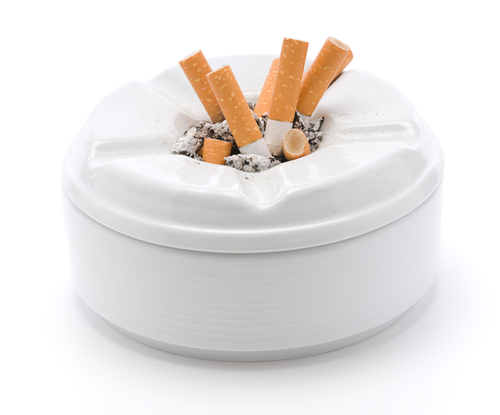 Family smoking history and genetic risk had an additive effect on smoking behavior. It is, however, still too soon to use the GRS to assess individual risk in clinical practice, said Belsky. The study is titled "Polygenic Risk and the Developmental Progression to Heavy, Persistent Smoking and Nicotine Dependence." To read about research on a vaccine to fight smoking addiction, see Psychiatric News here and the American Journal of Psychiatry here.